See more objects with the color rosybrown dimgrey darkslategrey darkolivegreen or see all the colors for this object. This is a Drawing. 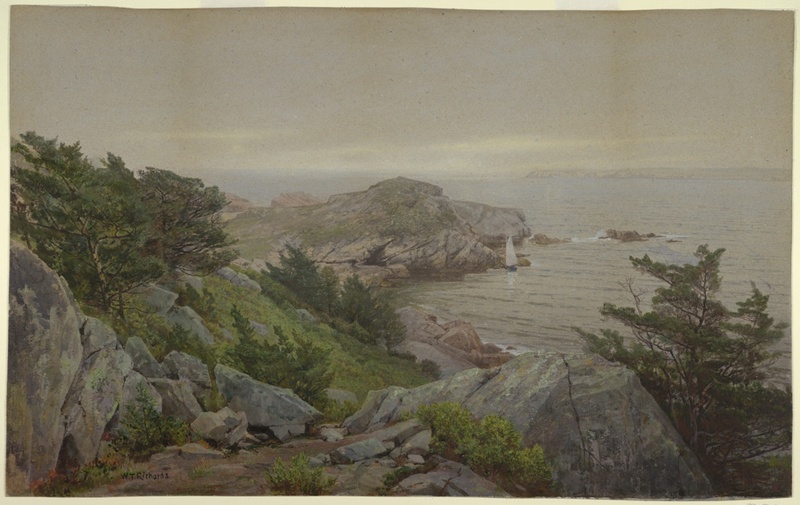 It was created by William Trost Richards. It is dated 1877 and we acquired it in 1953. Its medium is pen and brush and black ink, watercolor, gouache, crayon, traces of graphite on heavy gray wove paper. It is a part of the Drawings, Prints, and Graphic Design department. This object was donated by Josephine Rodgers. It is credited Gift of the National Academy of Design from the Mrs. William T. Brewster Bequest.